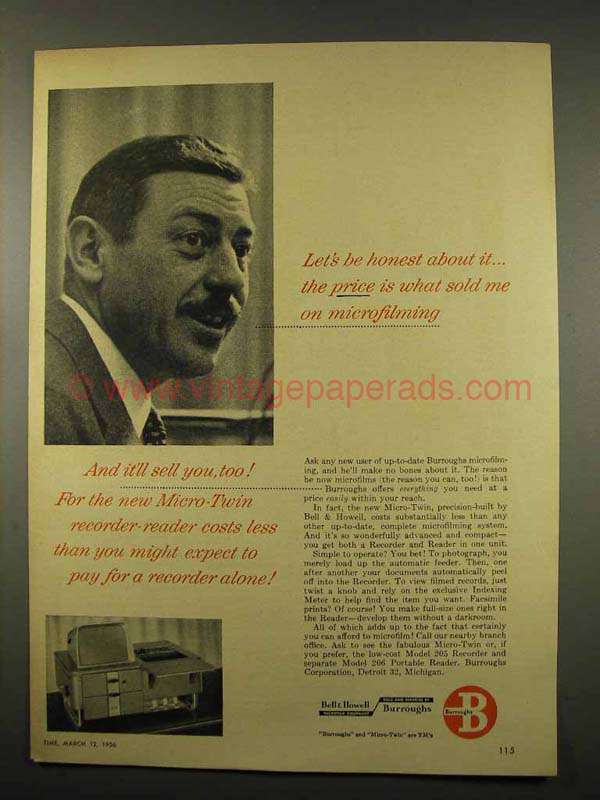 This is a 1956 ad for a Burroughs Microfilm Micro-Twin Recorder-Reader! The size of the ad is approximately 8.5x11inches. The caption for this ad is 'Let's be honest about it.. The price is what sold me on microfilming' The ad is in good overall condition, with some light wear. This vintage ad would look great framed and displayed! Add it to your collection today! 1965 3M Microfilm Ad - How Can She Copy All This Paperwork?